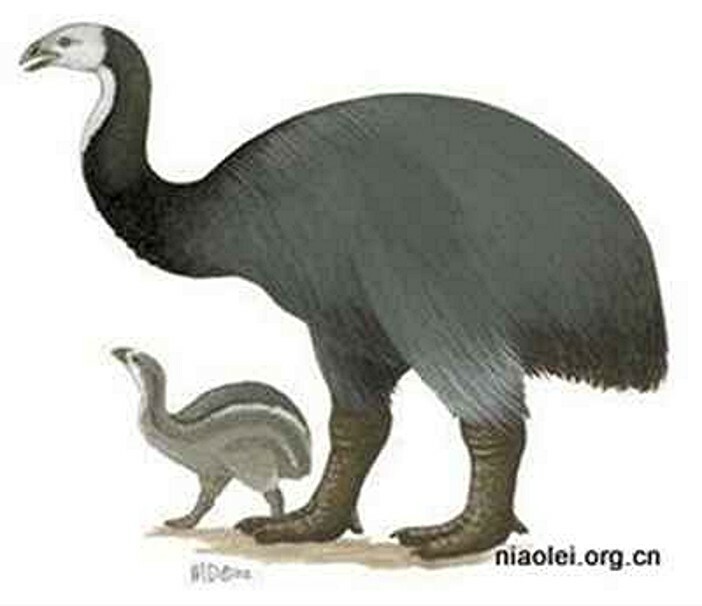 It is well established that the extinct moas constituted a group of ratites exclusive to New Zealand - which is why the little-known tale of Australia's unique Queensland moa is worth retelling. So here it is. 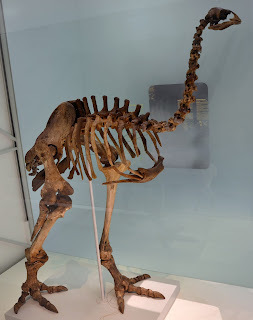 In 1884, this zoogeographical heretic was christened Dinornis queenslandiae by English-born zoologist Charles W. De Vis (at that time the director of the Queensland Museum), in a Proceedings of the Royal Society of Queensland paper. 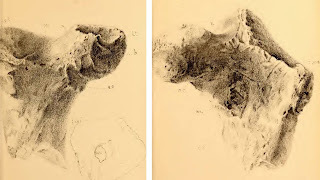 He based its species on a fossilised, incomplete left femur, spotted by him in a collection of bones from King's Creek, on Queensland's Darling Downs, that had been presented to the museum by a Mr J. Daniels of Pilton. Naturally, the specimen attracted great interest among ornithologists, as it extended the moas' distribution very considerably. 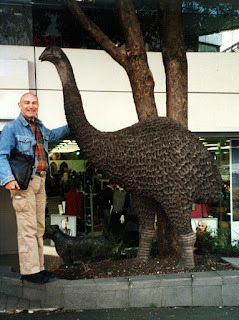 No longer were they a novelty of New Zealand - always assuming, of course, that it really was a moa. Over the years, however, this assumption became a much-debated issue. 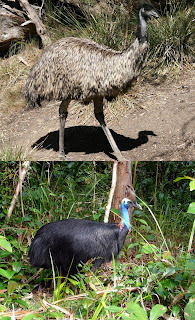 In 1893, for instance, eminent New Zealand naturalist Captain Frederick W. Hutton deemed the bone to be from a cassowary-like species that probably represented the common ancestor of emus and cassowaries, which are currently classed together within the same taxonomic order, Casuariiformes (and click here to access my ShukerNature article documenting some very controversial cassowaries). He documented his opinion in a Proceedings of the Linnean Society of NSW paper. Then in 1949 its species was readmitted to the moa brotherhood, when Dr Walter R.B. Oliver of Wellington's Dominion Museum renamed it Pachyornis queenslandiae in a Bulletin: Dominion Museum (New Zealand) paper. 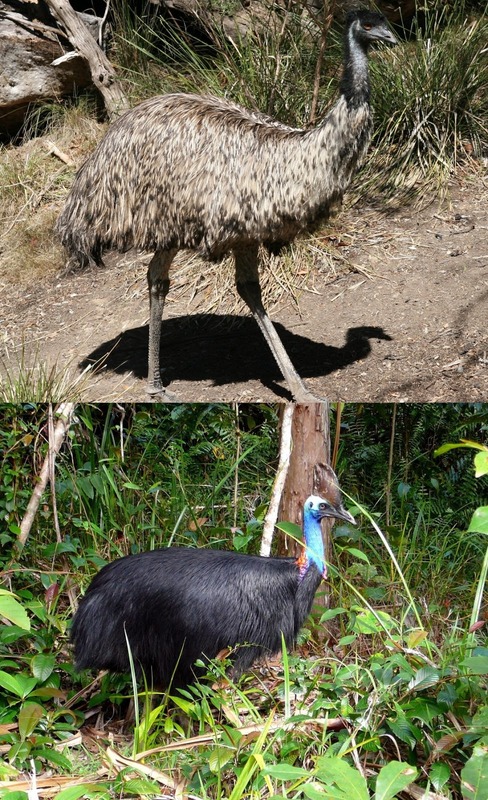 By the early 1960s, conversely, it was back among the emus and cassowaries, when in 1963, within a Records of the South Australian Museum paper, American ornithologist Dr Alden H. Miller (director of the Museum of Vertebrate Zoology at the University of California, Berkeley, for 25 years) classified it as an emu, dubbing it Dromiceius [=Dromaius] queenslandiae. 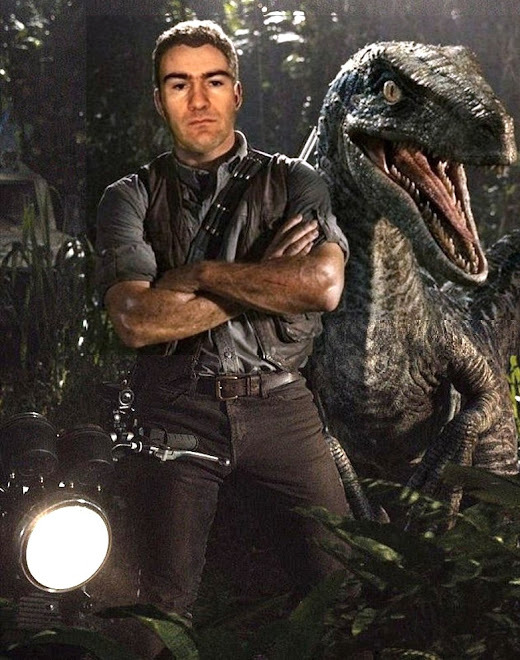 It seemed as if this contentious species would be spending the rest of time ricocheting from one ratite family to another - but then came the study that finally brought its taxonomic tribulations to a long-awaited end. 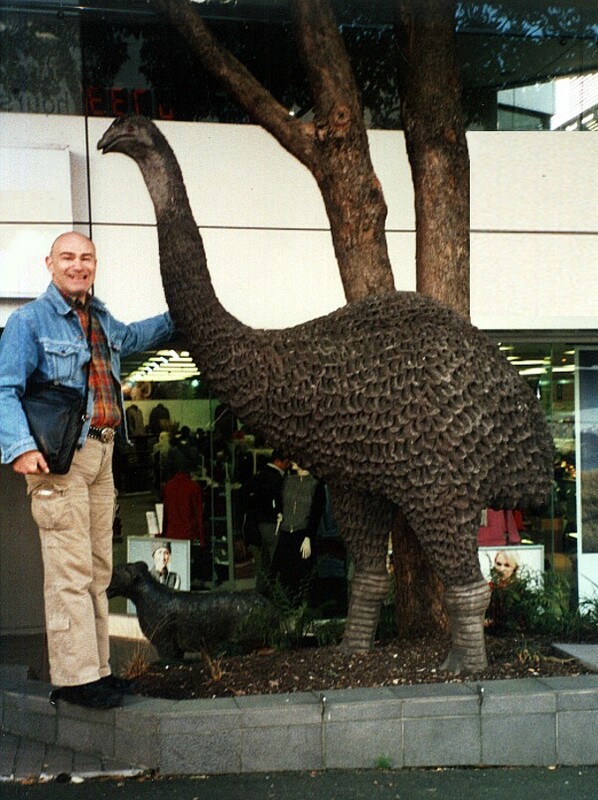 This was when, in April 1967, osteologist Ronald J. Scarlett from New Zealand's Canterbury Museum examined the Queensland moa's femur and revealed that it was indeed from a Pachyornis moa, but specifically the heavy-footed moa P. elephantopus (the presence and precise shape of a bony femoral projection called the cnemial crest clinched this taxonomic identification). He also paid close attention to the other bones in the original King's Creek collection within which it had been found by De Vis back in the 1880s. In so doing, Scarlett recognised that the femur was strikingly different in general appearance and colour from the rest of this collection's material, and clearly had not been obtained with it. In addition, his very appreciable experience with moa bones derived from caves, Maori middens, swamps, and other sources of such remains enabled him to reveal something even more significant – the femur was readily identifiable as a bone originating from a midden in New Zealand's South Island. 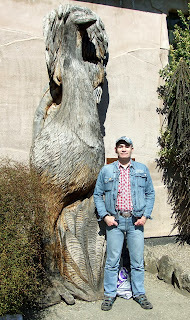 Consequently, it was not from Australia at all! In 1969, Scarlett documented his revelatory findings in a Memoirs of the Queensland Museum paper. In short, the (in)famous Queensland moa was just another non-existent creature that had been granted a transient reality by the evocation of inaccurate information and incomplete investigation - a mere monster of misidentification, nothing more. Pachyornis queenslandiae - R.I.P.! My sincere thanks go to the late Ron Scarlett for so kindly communicating with me regarding this once-controversial form (and other moa mysteries) during the 1990s, and for bringing his study and published paper concerning it to my attention. 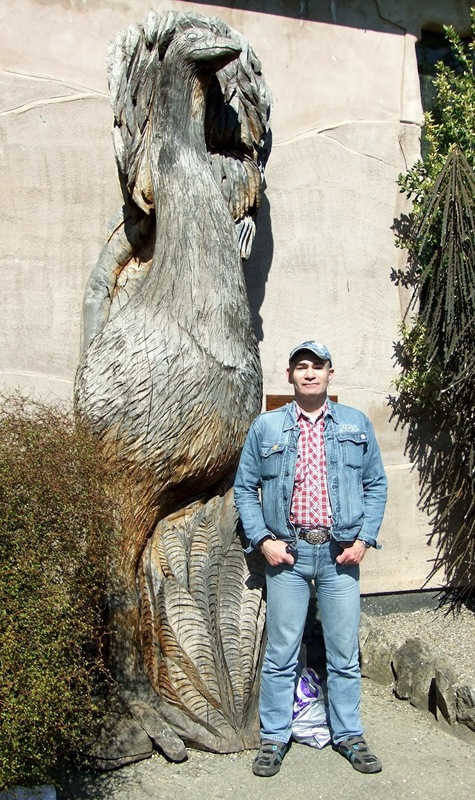 This ShukerNature article is excerpted and expanded from my book The Beasts That Hide From Man.